The brand was launched in December 2015, with a range of ready-to-drink protein - Body Buddy and followed by the much loved Zago Breakfast Shake in March 2016. Zago Cold Coffee was introduced in 2018 and became a run-away success, followed by the launch of Zago Cold Mocha. 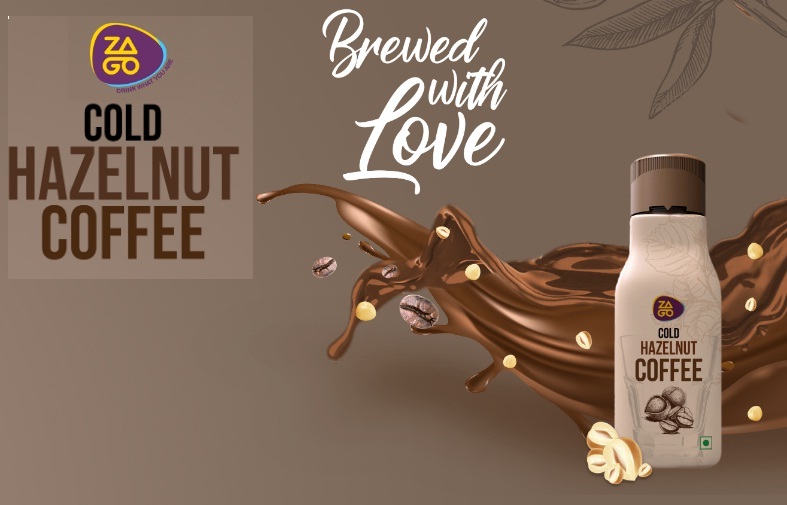 The company has recently launched the all-new Zago Cold Hazelnut Coffee, brewed from hand-picked Arabica beans from the hills of Chikmagalur and enriched with a delicious hazelnut flavour. The coffee is freshly brewed before bottling. Zago Cold Hazelnut Coffee is priced at Rs. 60 and does not contain any preservatives. Zago products are available in major retail chains in Mumbai, Delhi, Bangalore, Hyderabad, Chennai, Pune, Chandigarh, Kolkata, and Coimbatore. They are also available in airlines such as Air Asia, Indigo and Spice jet, PVR cinemas, Carnival Cinemas and Relay Airport outlets. Corporates such as Google, LinkedIn and Facebook offer Zago products at their kiosks. Products can also be purchased online at Amazon, Bigbasket and Daily Ninja.